With more than 4 teraFLOPS powering dual 2nd generation TeraScale engines, the ATI RadeonTM HD 5970 delivers unprecedented graphics performance with latest and most demanding games. Gamers can even increase the gaming performance up to 180% with ATI CrossFireXTM Technology in dual-mode with quad GPU support!!!
" 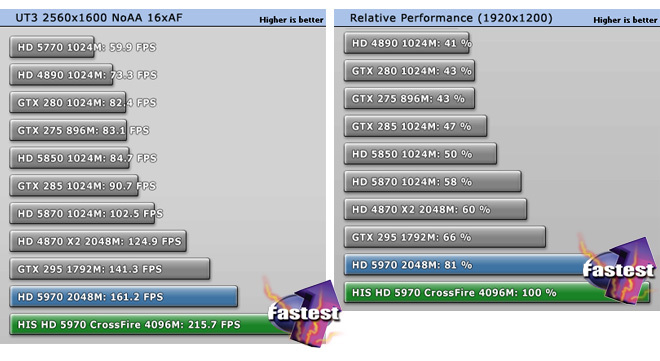 Overall, there can be no doubting the power and speed of the new Radeon HD 5970. 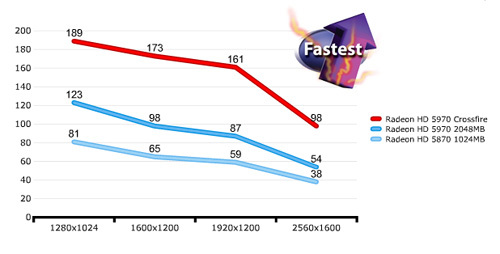 It is simply blazing fast, and as far as single graphics cards go, nothing in the market comes close. 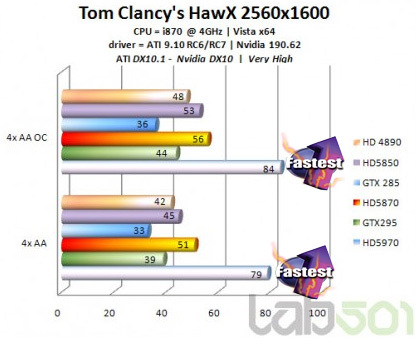 The previous speed king, the GeForce GTX 295, has been utterly outclassed by ATI's newest dual-GPU offering. " 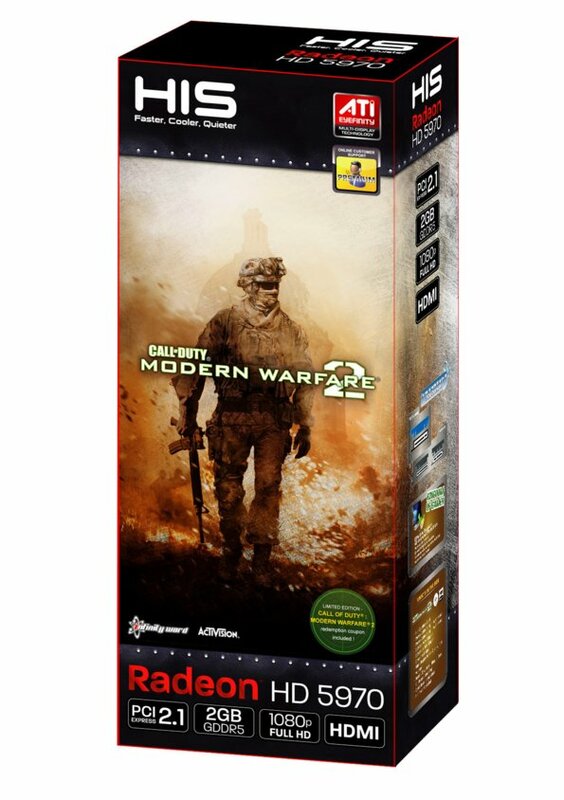 Enjoy all the benefits of Microsoft Windows 7® with ATI RadeonTM HD 5900 Series GPUs which are designed to provide an exceptional experience for the upcoming operating system. 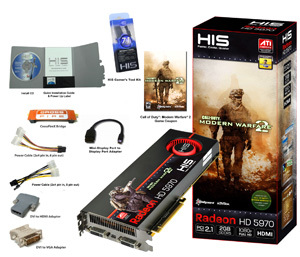 The fastest graphics card on the planet, the HIS RadeonTM HD 5970 delivers an unrivaled HD gaming experience so you can play the latest, most demanding HD titles like never before. Engineered for speed, this next-generation powerhouse delivers unprecedented performance straight out of the box. Unlocked, this graphics card has massive headroom so you can take control and push your hardware to its full potential! Expand your visual real estate across up to three displays and get lost in the action with ATI Eyefinity Technology. 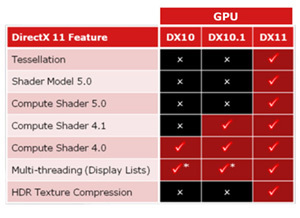 Using ATI Stream technology, accelerate even the most demanding applications and do more than ever with your PC.5 Among the first to deliver full support for Microsoft DirectX® 11, these GPUs enable rich, realistic visuals with explosive performance so you can dominate your gaming competition. 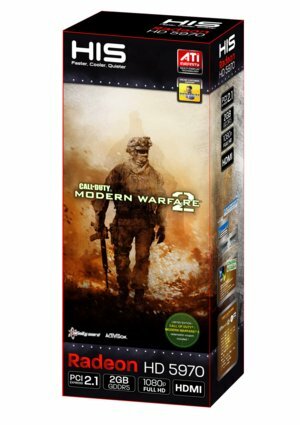 HIS Radeon graphics chips and Windows 7 graphics driver draws Windows incredibly efficiently - helping to save system memory and enable a superior Windows experience. The Windows 7 Aero desktop was designed using the DirectX 11 API, for which ATI 5900 Series of products provide full support. Besides, they fully supports the new Direct2D API - enabling enhanced 2D graphics features, and anti-aliased text to make applications running under the Windows 7 desktop look amazingly smooth and readable. this monster card makes my game world crazy!!! 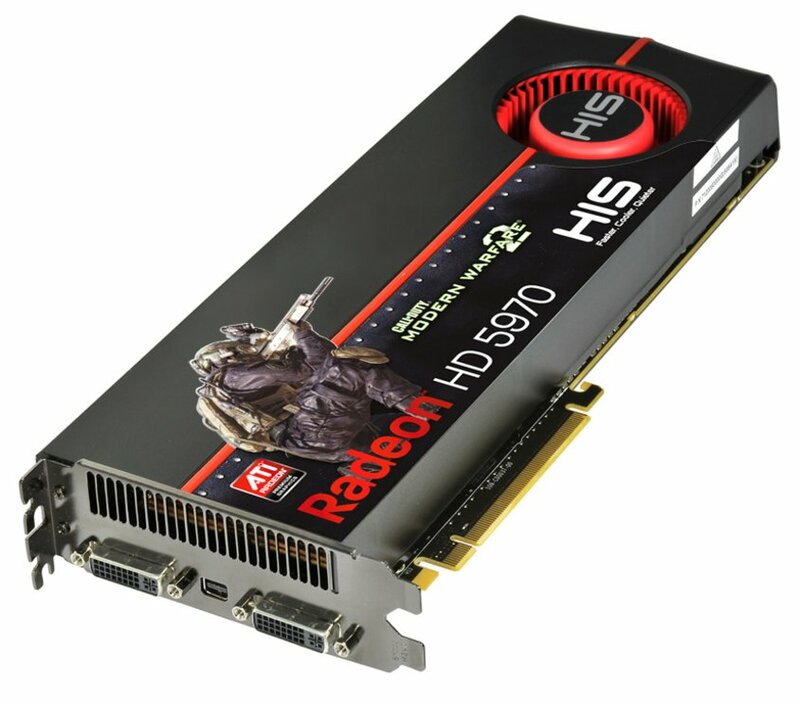 "Between high performance and is not a shortage of money for no good choice for users who are already feeling a hand touch HD5970'e, he had come out a super card . Care shown by the contents of the card box, coming from inside the box is manifested in every piece. Silence is also good"
"The HIS Radeon HD5970 reach sovereign the award, the card is super fast and has a perfect clear picture quality." 6-2010 sign the HIS HD5970 as Number One.